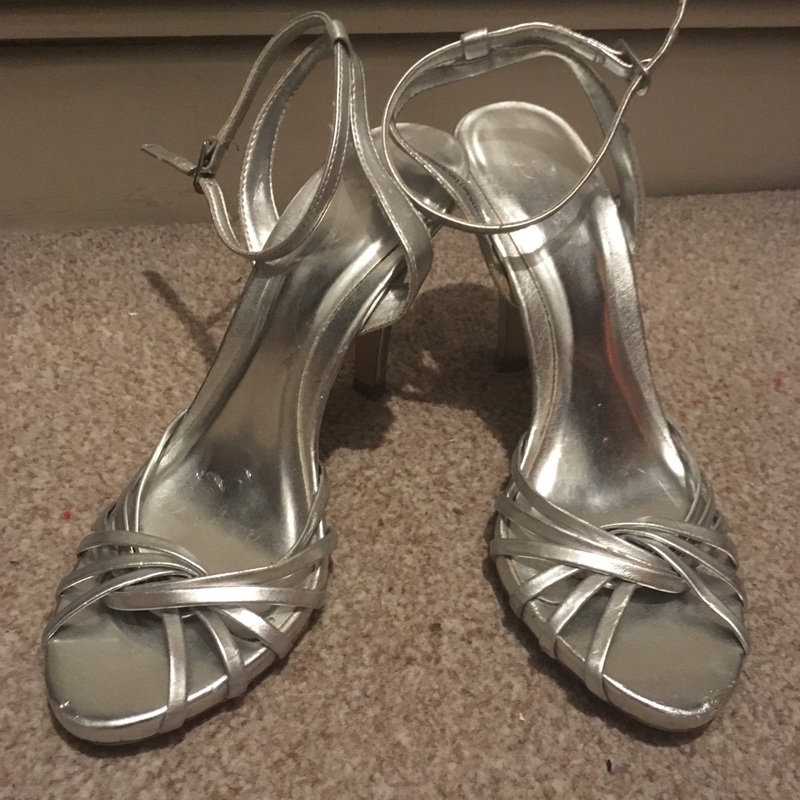 Pretty silver scrappy shoes with 2 1/2 inch heel (easy and comfortable to walk in - if I can you sure can!) Size 6 They are used and loved but in a good condition but now it’s time for someone else to party in them. Perfect for the xmas season!